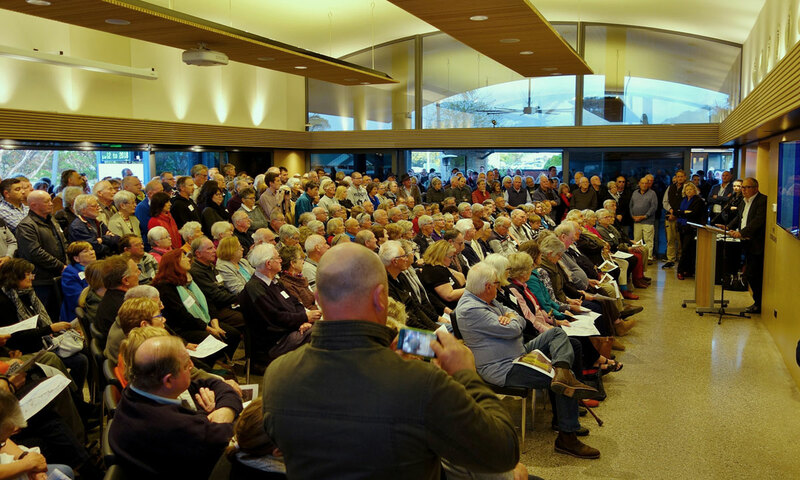 It was a sea of dignified silver hair at Mawson MP Leon Bignell’s meeting. He called the locals together to explain the situation where developers plan to have the McLaren Vale township boundaries extended so they can spread some nice lucrative villa rash into the vineyards on its south side. Like right from Johnston’s Pirramimma Wines to the Salopian Inn. Next time there’s a big rock show at Richard Hamilton’s Leaconfield, there’ll be houses next door, not vineyards. And a giant old folks’ home. Maybe Leonard Cohen coulda made a joke about that when he played there, chortling straight into his setting sun. In the question section, a schoolteacher politely suggested that as most of us present would obviously be dead soon, it would be good to be involving the young in these important discussions of their region’s future, as they’d be the recipients of whatever such gatherings could decide and achieve. There was a heavy sense of moment. Uniform sage nods. While the few young ‘uns there listened fashionably from outside, where they mingled with about as many as the couple of hundred elders crammed within, those seniors began arriving an hour before starting time. To a public meeting. As far as veterans go, McLaren Vale is ahead of most of Australian vignobles in its ability to get angry, organised and fight to save its own blessed beauty. Its true worth. In practical conservation, McLaren Vale has form. Alex and Mary Johnston, Joe Petrucci, d’Arry Osborn and Colin Kay were prominent earlybirds from the local noblesse. Then came many growers and great grizzled vineyard experts, among other townsfolk. There was a noticeable scarcity of the more rockstar winery owners, and those who simply wish they could flog some vineyards for houses and build themselves glittering glass and steel palaces on the escarpment, which I believe holds the best potential vineyard land in the district. As the climate warms, those cooler uplands will provide invaluable farming and vineyard land while the black cracking clay lowlands will become increasingly difficult. If it wants to retain its fine winemaking image, McLaren Vale will have to start thinking on that higher level. Bignell – everyone calls him Biggles – ran the show. He took us through the history of the McLaren Vale and Barossa Valley Preservation Acts 2012 and how long and hard and persistent had been the battle to get those legislations pushed through. He talked about the intensive community discussions that went into it – lots of butcher’s paper planning in one town after another – and how proud and protective of it the citizens should be. This lot didn’t need to be told. The rage and determination of the gathering was immediately palpable. There were a lot of very smart people in that room, and strong. You wouldn’t want that lot coming over your ramparts with their pikes. And books. Their great gathered knowledge. To ensure fledgling errors in the Preservation Acts could be fixed should they emerge, the laws from the start included a safeguard review after five years, after public input, suggestion and complaint. This first review is now complete and was tabled by the new Liberal Government some weeks back. Against all odds, Bignell, a heavy-hitting cabinet minister in the previous Labor Government, held his seat in the last state election. Bignell said that if Colonel Light had planned the parklands of Adelaide with reviews every five years, that precious green belt would have been “gone a hundred years ago”. The floor erupted in applause and cheers. Fierce suggestions for more overt public protest. An energetic whoosh of anger and outrage that was repeated in waves as the evening went quickly by. It wasn’t all anti-development. There was a whiff of “well, I have a vineyard and I grow food but you can’t stop growth and all these people have gotta have somewhere to live” sort-of thing, regarded with derisive sighs and groans. And then the local conservative Family First bloke, Robert Brokenshire, who lost his parliamentary seat at the last election, made a bit of a sermon about his, well, I dunno really, which Bignell skilfully amputated after a few rambling minutes. A session of bright two-and-fro of question and answer, suggestion and theorising followed, during which Bignell committed to a series of town-to-town meetings like those that went into the Preservation Acts, to give citizens a chance to begin a serious constructive discussion about how they now want their townships to evolve within their legislated boundaries. Their look, style and feel. Their amenity. There’s a lot of pressure on. Bignell suggested Karidis Corporation (the developer behind the planned housing and retirement village plans) should buy some of the land currently on sale within the township boundary. 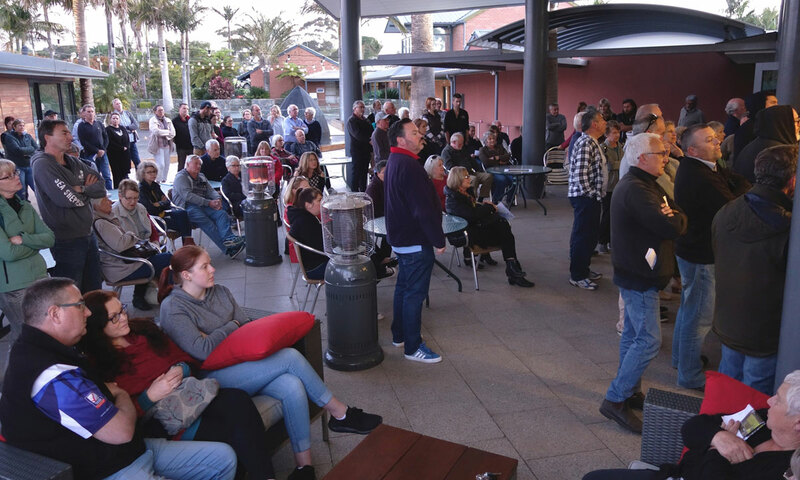 As the planning laws are an arcane web that traverses various layers of government and more of bureaucracy, the idea is to wait till the new Onkaparinga Council and mayor is elected and installed in November, then proceed with some dead serious interface. Local, state, Liberal, Labor, Green and obviously lots of sage silver hair. “Doesn’t matter” was the word, “it’s time to work together.” More honest talk, big work, and nail it. Democracy is never easy or cheap. Get on with running the joint with some intelligence, a new sensitivity, and some seriously measured urgency. Not to mention some hard work on getting the kids involved. And the Kaurna people, whose land it is. That’d be a change. It’s eight years since hundreds of locals washed and polished their tractors, got on their Sunday-best farmer kit and blocked the main southern roads for a few midday hours in protest at the housing development proposed on the best malting barley block in the south; a rise of precious rare siltstone like that Morphett Vale outcrop that Max Schubert chose when planning his Penfolds Grange. All of that geology is now under torrid eave-to-eave dormitoria; including that special siltstone hill on the gateway to McLaren Vale. Every time one of those tractor folks gets in their car or ute to drive out of the Vale towards Adelaide or the coast, they have a good five minutes to grit and grind their teeth while they pass that hill, with its ill-planned, intensely sub-urban malignancy now called Seaford Heights. When architecture and civic planning is an assault on the landscape, you’ve lost. I wouldn’t want to be the first to try another one of those on. Not down this way.